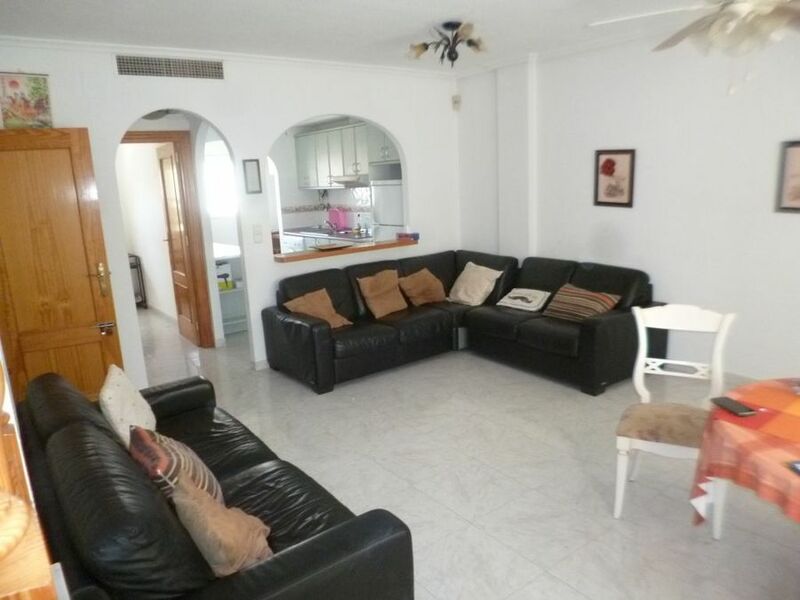 Spacious (167m2) townhouse in playa Flamenca 4 bedroom 3 bathroom, South East facing, great views of pool, popular location. 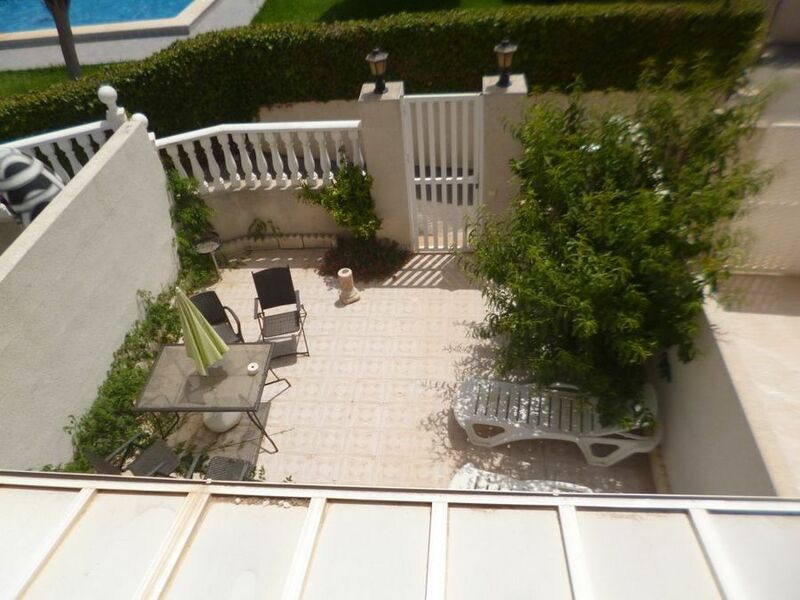 The property has front and back gardens, front and back sun balcony, conservatory to the front, Spacious living room / dining room with large American style open plan kitchen with utility area, bedroom / office and shower room. 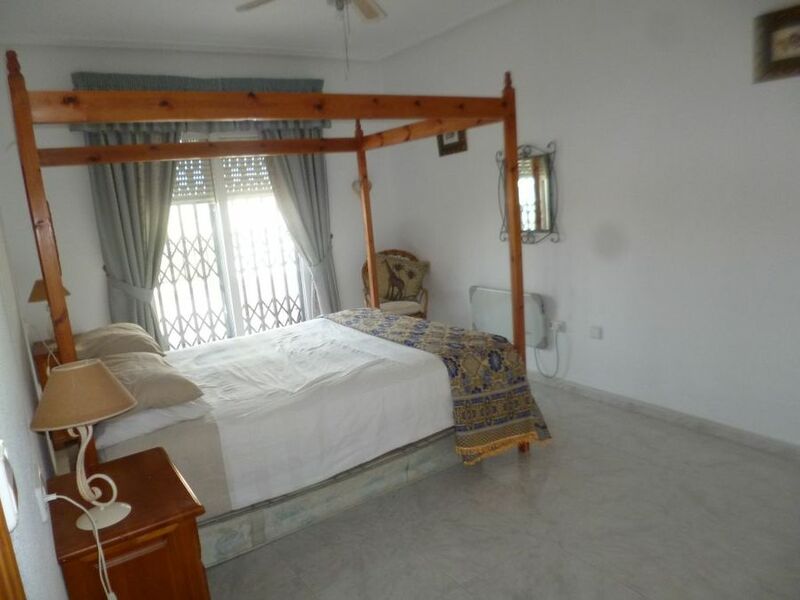 Upstairs to the master bedroom and another large bedroom and a spacious bathroom each with fitted wardrobes and a sun balcony. 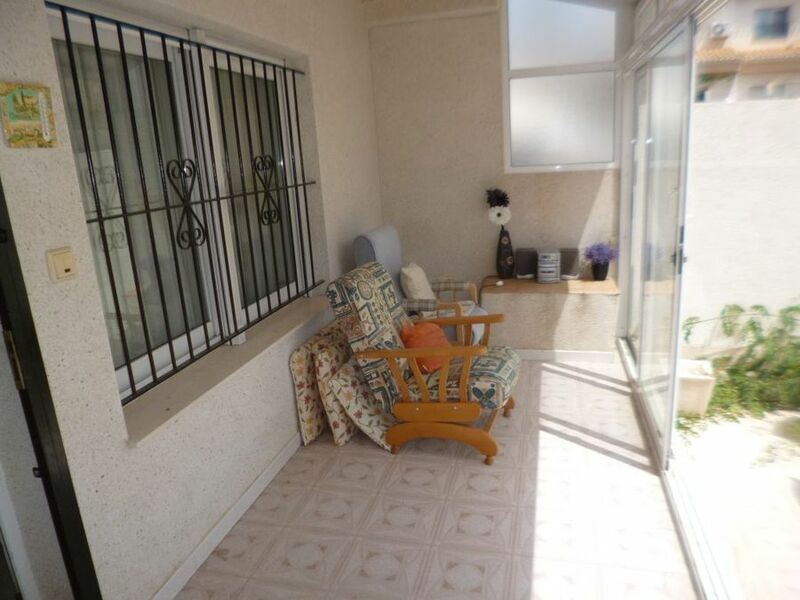 Also from the living room is another staircase going down, but on the ground floor from the rear is another entrance to a spacious living room separate to the large bedroom and en-suite bathroom. 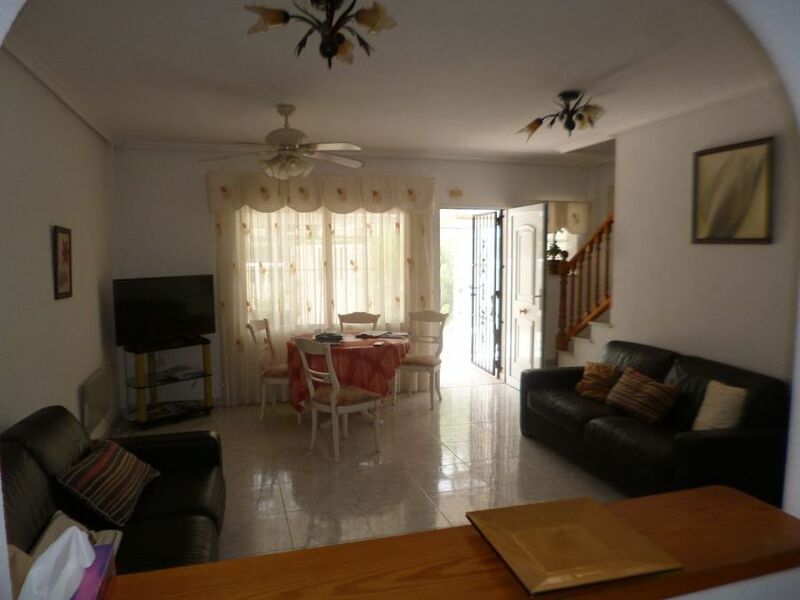 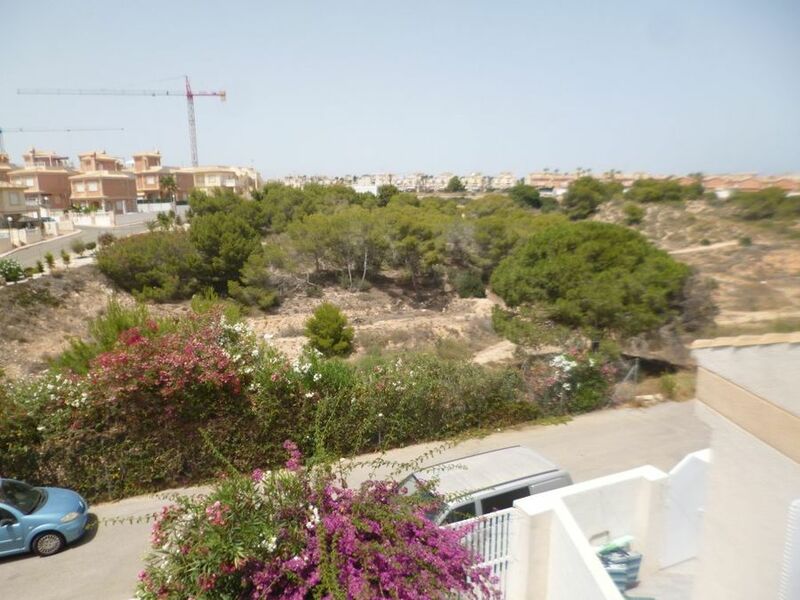 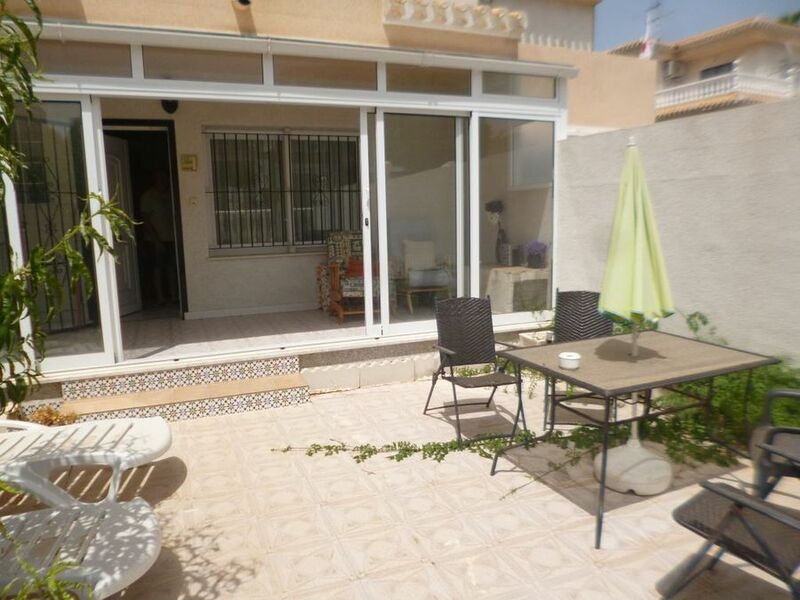 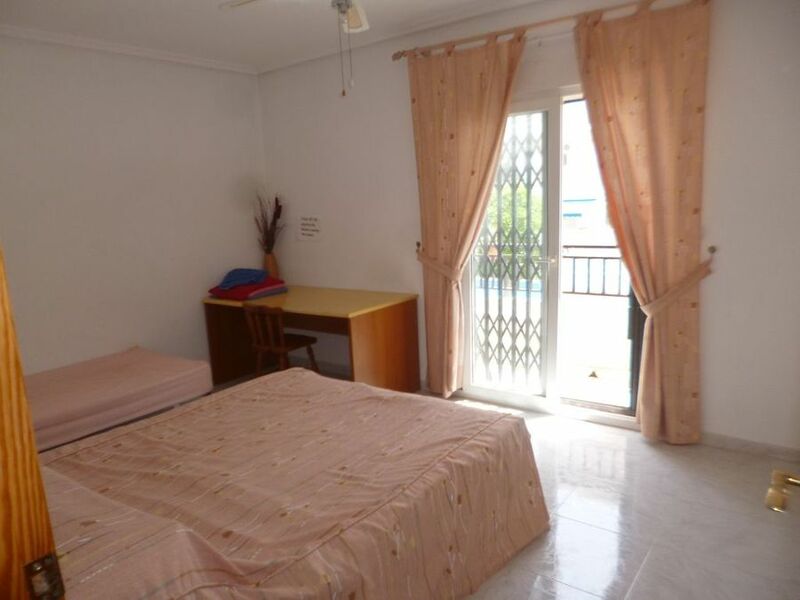 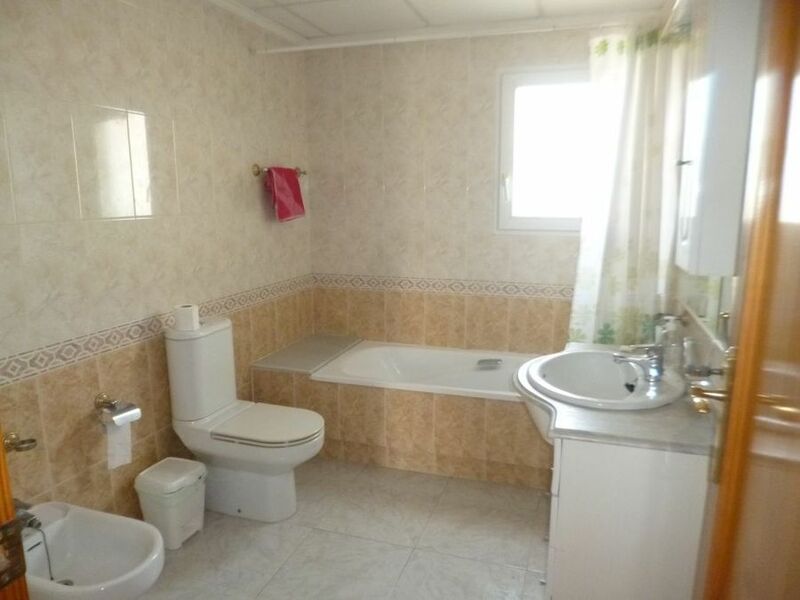 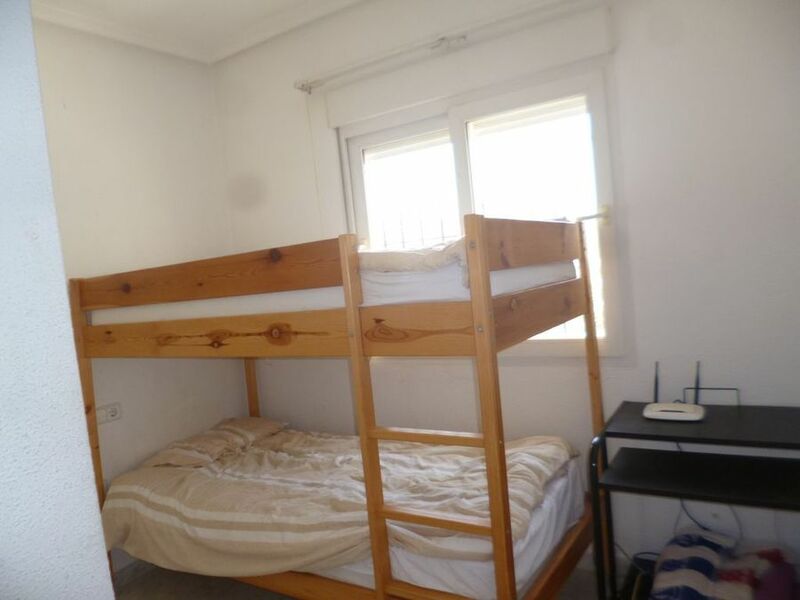 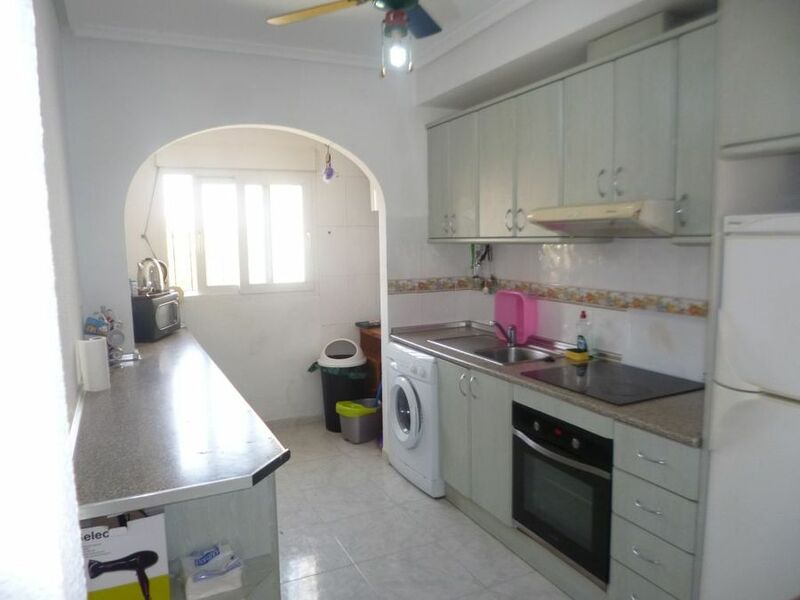 This is a very spacious house in a excellent location close to the Saturday market, the la Zenia boulevard shopping centre and only a 10 minute walk to the beautiful white sandy beaches. 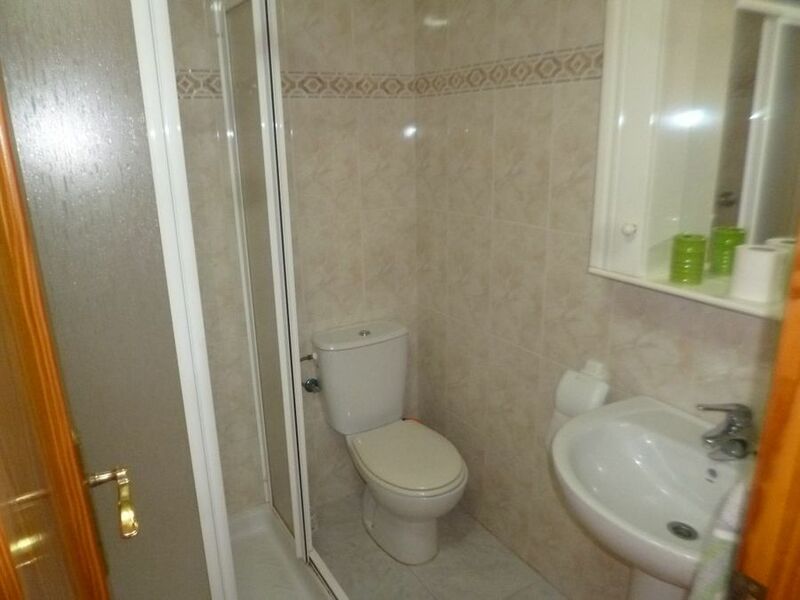 A short drive to several championship golf courses.